If you're looking to get some unique gifts for those on your holiday list, Toronto's Christmas craft shows and markets are a wonderful place to take your search. During November and December, one of a kind creations by local and Canadian artists will be on sale in even greater numbers than usual - which also makes it a great time to stock up for other gift giving throughout the year - or to go shopping as a treat for yourself. It's the big one! The One of a Kind Show's holiday edition offers a huge variety of unique gifts created by Canadian artists and craftspeople. Shop everything from fashion and accessories, to gourmet prepared foods, home decor and more courtesy of hundreds of exhibitors from across the country. This is a great place to shop for anyone on your gift list that's hard to buy for or who seems to have everything. Get everything you need to get your home and family ready for the holidays all in one place. One stop shopping at its best, the Seasons Christmas Show features over 300 exhibitors offering everything from holiday décor to handmade gifts and stocking stuffers. If you want to get a good portion of holiday prep done early, this is the place to do it. Explore locally made and cruelty-free products at this unique holiday market happening at Artscape Wychwood Barns. Snack on vegetarian holiday treats as you browse and shop handmade gifts and other items courtesy of over 40 local vendors. 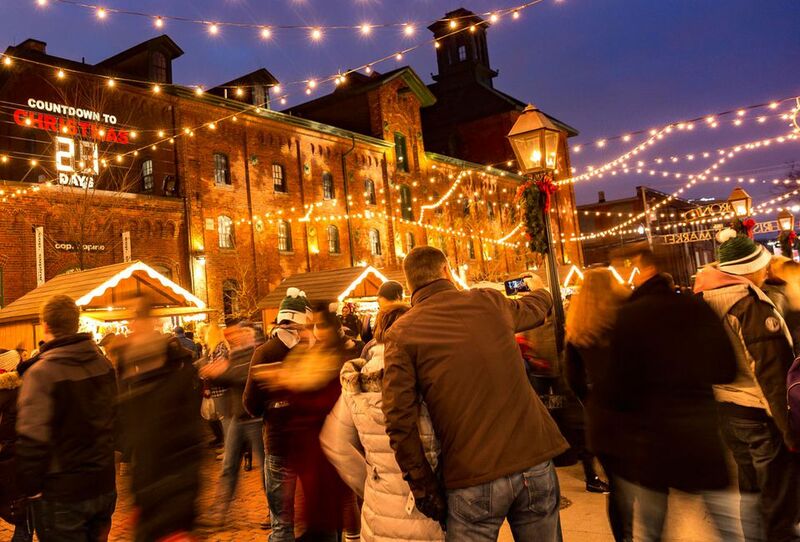 While not exclusively a shopping experience, the always hotly-anticipated Toronto Christmas Market will get you into the festive spirit while also giving you a chance to shop holiday décor and gift ideas in a truly magical setting. In addition to browsing vendors, enjoy the beautiful lighting displays and stop for a mulled wine in one of the beer gardens. Another holiday market you can visit to shop and get into the holiday spirit happens at Nathan Philips Square. Browse the artisan village for handmade gifts and décor, enjoy some rides at the midway, take a photo with Santa, snack on food truck fare and grab a drink by the fire at the licensed ice bar. The fair is in support of Epilepsy Toronto. ​The Toronto Botanical Garden (TBG) hosts its own holiday market where you can shop over 25 designers, makers and artisans showcasing a wide array of nature-inspired, eco-friendly and botanically-themed items. Some of what you'll find here includes jewellery, sculptures, textiles, ceramics, terrariums and artisanal food and body care products making it easy to stock up gifts for any plant-lovers in your life. Shop local, handmade goods in the Annex at the latest installment of the Artisans’ Gift Fair taking place at the Tranzac Club. The fair happens every weekend in December and gives holiday shoppers the chance to browse one-of-a-kind goods and support local artisans and craftspeople.